The third semester of the 17th generation has started. It is always special for our students because of the nice spring weather and because most students finish their school and these are the last weeks of their life here. As far as the very beginning of the semester is concerned, we’ve had a visiting group from the Downline Bible program from Memphis, Tennessee, USA. 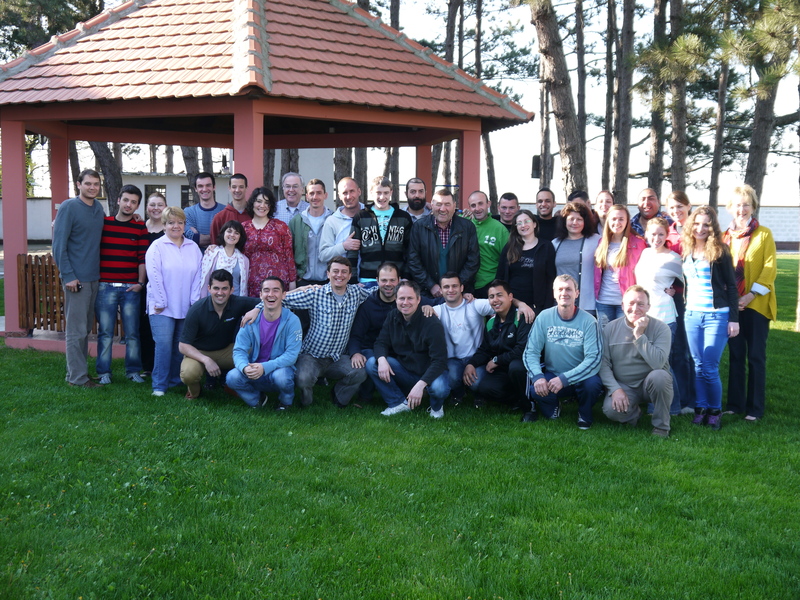 They taught a seminar on discipleship, which was attended, other then by our students, by many guests from different churches and towns in Serbia. There were altogether over 40 of us in HUB. It was a very blessed time for all of us. Conversations, hangouts, encouragements, sport activities, art workshops etc. made the participants leave full of good impressions. We ourselves have been blessed by serving people and being a spiritual refreshment for them. I asked Dr. Jim Rearden, one of the teachers from the team, and his wife, to share with us their impressions about HUB. There are great challenges in front of us and this is why we need you to keep supporting us in prayer. Thank you for doing it. May God bless you. « VESTI IZ HUB-a BIBLIJSKE ŠKOLE ZA 22.04.2013.